In life, Cody Garbrandt is living like a champion. Wife, son, new house, endorsements, a biography on bookshelves. The only thing missing is the belt. On Saturday, he can fill that empty space if he evens the score with TJ Dillashaw in the main event of UFC 227 in Los Angeles. “I’m healthy, I’m hungry, I’m motivated to go out there and get the strap back,” said Garbrandt, who has spent plenty of time thinking about what went wrong on November 4, 2017, the night in New York City when he saw Dillashaw take his title. 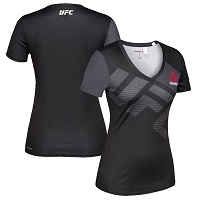 Maybe some of that hunger was satisfied in the days between Garbrandt’s title-winning effort over Dominick Cruz in December 2016 and the UFC 217 loss to his former teammate. When life is going good, it can take some of the edge off, and life was good for the 27-year-old, who only a little over two years ago was just scraping by. He recalls getting his third UFC victory over Augusto Mendes in February 2016 and then receiving an offer to fight Thomas Almeida in a Las Vegas main event three months later. He took it, went to the limit in training, and arrived in the Fight Capital of the World with 56 dollars in his bank account. But he never lost sight of the goal. He did, earning an extra $50,000 for his Performance of the Night-winning effort. “Those are life-changing,” said Garbrandt, and four months later, he put on a masterful performance in taking the title from Cruz. 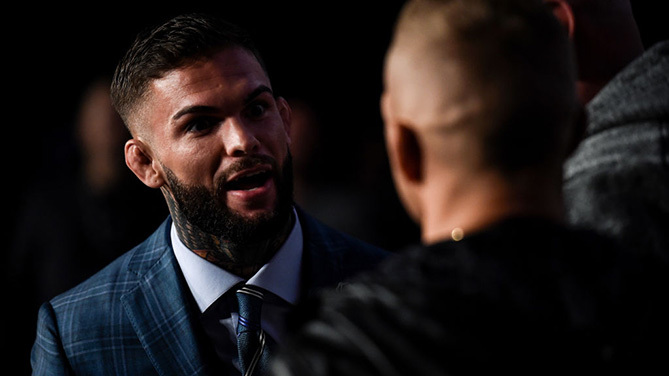 Garbrandt had arrived, and after he put his rivalry with Dillashaw to rest, it was going to be even bigger and better things to come. That didn’t happen. And though it took a while, Garbrandt eventually looked at the lone loss of his career. Still dealing with back issues heading into the bout, “No Love” nearly pulled off the win when he hurt Dillashaw late in the opening round, a reminder of past training sessions the two had. But less than three minutes into round two, Garbrandt was dealing with the defeat and the prospect of life as an ex-champion. And while he’s dealt with that reality, he hasn’t accepted it. That’s a good thing. But his only thought now is winning. Not just for him, but for the little boy at home who calls him Dad. “I learned a lot from that (first) fight, and it’s gonna mean everything to be able to bring this title back to my boy,” Garbrandt said.